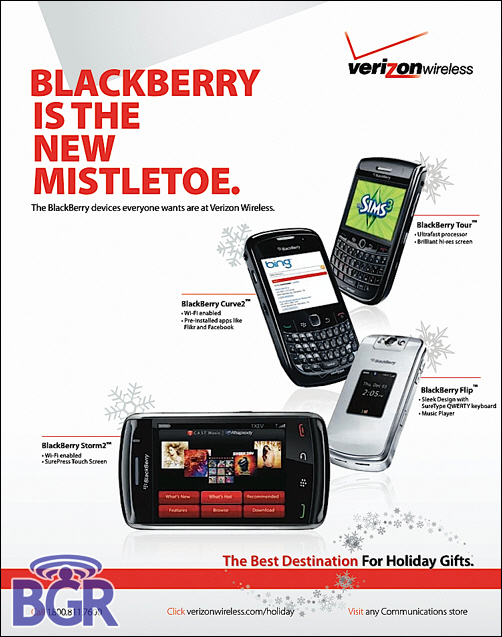 Verizon to Launch New Curve as BlackBerry Curve2?!! Between Storm2 and Bold 9700 posts, things were a little crazy on the blogs last week, but if you were catching everything you would have caught our Verizon BlackBerry Curve2 8530 Review on Friday. In that review I spent a lot of time (some would say way too much time) talking about the name of the new Verizon Curve. The box I received actually had the device labeled the "Curve 2" (with a space) while the About screen showed Curve 8530. From there, I went on to argue that in a perfect BlackBerry world, calling this unit the Curve2 would make perfect sense in following the Storm2's branding, but that doing so totally ignores the fact the Curve 8900 (which features a better display and camera) exists on other carriers and would technically already be the Curve 2. Also, the fact that the original Curve 8530 codenamed "aries" didn't have WiFi but the latest units do, one could make the argument that it should really be the Curve 8550 just like the Storm2 is the 9550 vs. the WiFi-less 9530. Also seems weird that the rubber on the back below the camera would then say just Curve vs. Curve2. Does it really matter what they call it? Maybe not... but some of us crazy CrackBerries do care about these things. Check out the review for the full overkill rant. As for the point of this post... well, in that review we posted one image from Verizon's Holiday Catalogue that showed the New Curve was coming, but BGR today followed up with the full catalogue that shows the new Curve and that it will be dubbed the Curve2. Definitely sounds better than Curve 8530 (am sure they'll sell more this way), but definitely is confusing from an overall BlackBerry brand marketing standpoint.